In February, we covered several document updates and even added new documents to our doc library. In case you missed any of those key updates, here are the topics we shared in our February Compliance Blog. To stay on top of the mortgage industry’s every evolving compliance related issues and changes, subscribe to our Compliance Updates blog. One big announcement in February was the launch of Docutech’s “Cooperative Matrix”, which summarizes which generic cooperative documents we print (or offer) in each jurisdiction where we support cooperative loans. Among the information provided in this new document is a listing of jurisdictions in which we support cooperative loans, as well as the type of such loans we currently support. Learn more by contacting Senior Regulatory Compliance Specialist Timothy A. Raty at traty@docutech.com or any other member of our Legal team at legal@docutech.com. Fannie Mae, the Department of Veterans Affairs and a number of state regulators required document changes or updates in February. Here is the overview with links that will take you to additional information on our compliance blog. Fannie Mae. FNMA has announced that is now offering “several adjustable-rate mortgage (ARM) plans that use the monthly weighted-average cost of funds index (COFI) as computed each month by the Federal Home Loan Bank of San Francisco,” but since the index is scheduled to be retired in January 2020, Fannie Mae is proactively removing all references to this index and associated ARM plans (681, 682, 760, and 761) from the Selling Guide and Standard ARM Plan Matrix. Learn more. Department of Veteran’s Affairs. In its Circ. 26-19-5, the VA provided details and clarifications on how to comply with the Department’s new net tangible benefit regulations. This Circular also includes a sample disclosure which may be used for the net tangible benefit rules. We are currently reviewing this change to determine any impact to our document library and/or systems and evaluating any necessary changes. Learn more. Also from the VA: new regulations applicable to all non-IRRRL refinance loans beginning on February 15, 2019 were posted by the VA last month. As part of the changes implemented, we created a new Data Integrity Warning regarding net tangible benefits. More information about what triggers the warning is available on our compliance blog. The warning may trigger a hard stop error. Learn more. And finally, in its “Change 6” to VA Manual 26-7, the VA announced a full revision to Chapter 1 of the VA Lender’s Handbook. Details are on our compliance blog, but we are monitoring this planned change to determine any impact to our document library and/or systems and evaluating any necessary changes. Learn more. California. The state Housing Finance Agency (CalHFA) issued Program Bulletin #2019-03 last month in which it announced a universal promissory note and universal deed of trust. The new documents are effective for all loan reservations on or after March 1, 2019. CalHFA will continue to purchase subordinate loans that have correct older document versions until July 1, 2019, at which time subordinate loans using older versions may be subject to suspension. Learn more. In other California news, Docutech has expanded our support for loans secured by a borrower’s ownership shares and lease in a cooperative unit (“cooperative loans”) by rolling-out support for HELOC cooperative loans for cooperative units located in California. Similar to what we have done for HELOCs in New York, we will be making HELOC-specific copies of some of our multistate cooperative documents for use in California. The changes are in effect now. Information about all of the new and revised documents is available on our compliance blog. Learn more. New York. We are expanding the scope of our support for loans secured by a borrower’s ownership shares and lease in a cooperative unit (“cooperative loans”) to include home equity lines of credit (“HELOCs”) when the cooperative unit is located in New York. New and updated documents are now available. Learn more. New Jersey. Although the use of trust funds in New Jersey are situational, we are pleased to announce that we have created a generic document for this requirement, along with several new fields that may be used to fill out and trigger the document. The document uses the values of Fields 131870, 131871, and 131872 to populate the three main disclosure requirements of New Jersey law. The document will be addressed to (and signed by) the borrower, seller, or both, depending on what Field 131869 is set to (Borrower, Seller, or Borrower and Seller). Learn more. Kansas. Due to the current regulatory structure in Kansas related to loan broker disclosures, our research has indicated that most clients will never need to print document Cx4248. As a result, we are modifying the current print configuration of Cx4248 to no longer print as a generic document. If you have any questions or concerns about this change, please contact Client Support at 1.800.497.3584. Learn more. The document library saw many revisions last month. They’ve been summarized below with links to the full descriptions of the updates. We created Cx22999 to conform to the sample “VA Non-IRRRL Refinance Comparison Certification” form found in VA Circ. 26-19-5 Exhibit A. More. Learn more. Docutech is increasing the font size from 11 point to 12 point on certain Delaware Riders to avoid additional recording fees that may be assessed by the Kent County Recorder of Deeds Office for Riders that have smaller font sizes than the font size found on the corresponding Mortgage document. Learn more. Our generic “Buydown Agreement” (Cx25) fulfills the various GSE and Federal agency requirements, including those promulgated under FNMA 2019 Single-Family Handbook B2-1.3-05. Learn more. 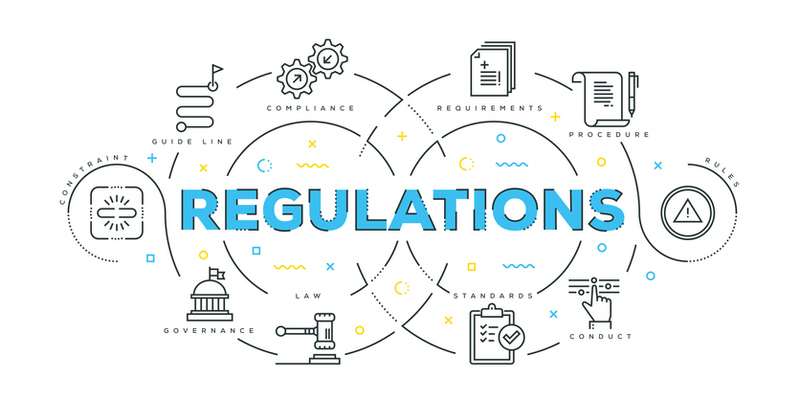 Certain broker disclosure documents (Cx1908, Cx3318, Cx4828, and Cx3444) were updated last month to conform to requirements in Illinois, Louisiana and Nebraska. Learn more. We have slightly modified the Illinois Prepayment Charge Disclosure (our Cx13520), to conform to 205 ILCS 635/5-8. Learn more. You can always get the latest information from the industry’s very best compliance team on our compliance blog. Click here to subscribe today.